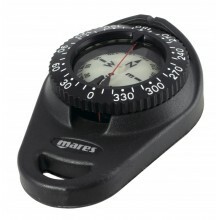 Specially created to be attached to the BC. 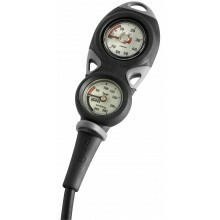 Pressure gauge 300 bars with indication of zone of reserve. 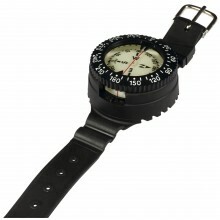 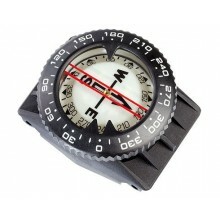 Compass Cressi + Kit with Strap and BCD Holder. 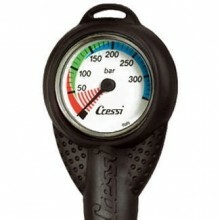 The Cressi mini pressure gauge is a small, light-weight gauge. 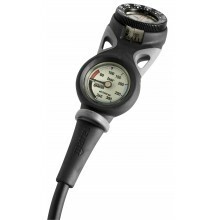 Anti-shock elastomeric technopolymer case with a precise pressure gauge featuring a new easy to read display. 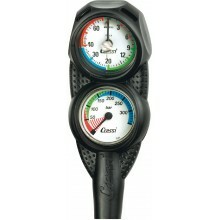 Underwater pressure gauge 230 bars NITROX-OXY, European standard CE EN 250 with indication of reserve area. 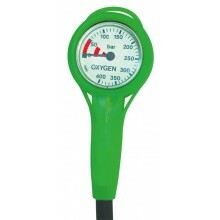 400 BAR Ø 52x25 mm, flexible de 80 cm. 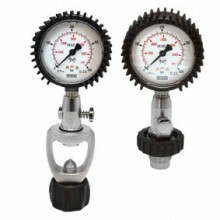 Analog console with pressure and depth gauges.